This helmet is amazing! weighs only 1.4kg, perfect fit, plenty of air vents, ready to be set up with AGV's own com-system. Came with free dark tinted visor. 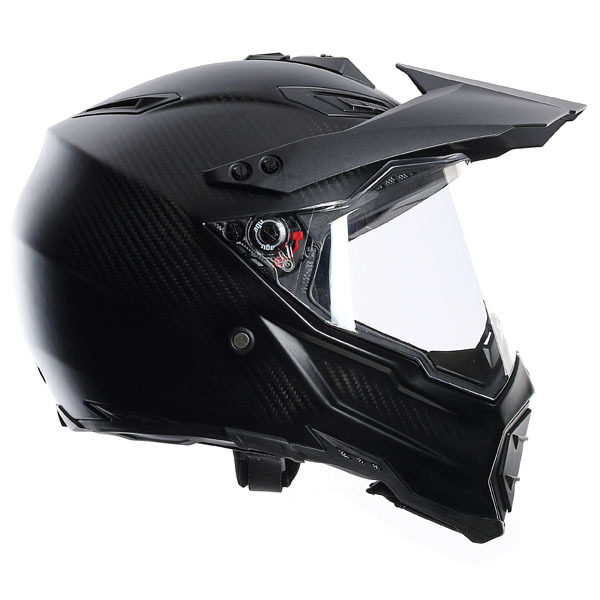 Helmet is very comfortable and has multiple options of apparel: from Sportsbike to super moto. 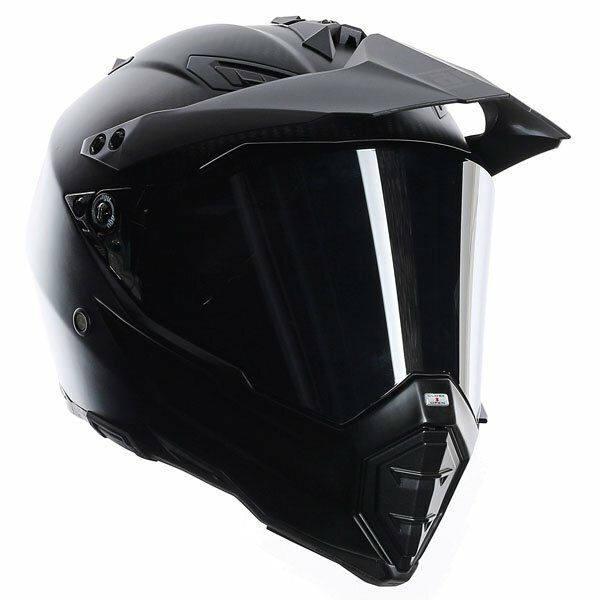 This is a superb lid, very comfy, good visibility, nice and light and it looks awesome with the free smoked visor. 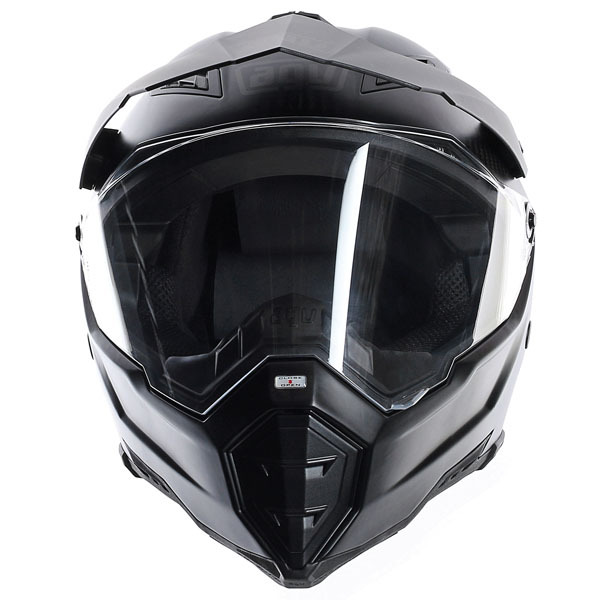 I have bought a few items from Sportsbikeshop and they are easy to deal with. They get your order right every time and free delivery, what more could you ask for. 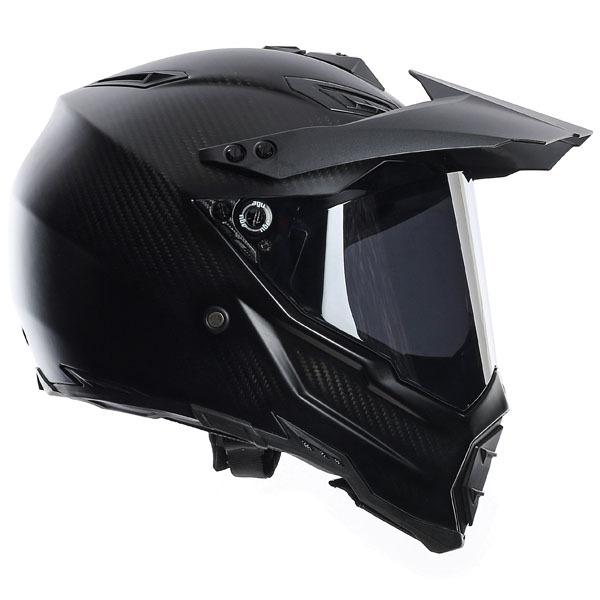 This helmet is super light and also has 2 different looks, one with the extensions on the top of the helmet which looks ok, then you have fighter jet mode without it and with the smoked visor you will look mean. This product is a must buy. You can even put a go pro onto it very easily. March 15, 2016 - by Jamie..
Great vision, great looking so many options to have it in full face, with goggles. With or without peak it's just great...thumbs up from me. 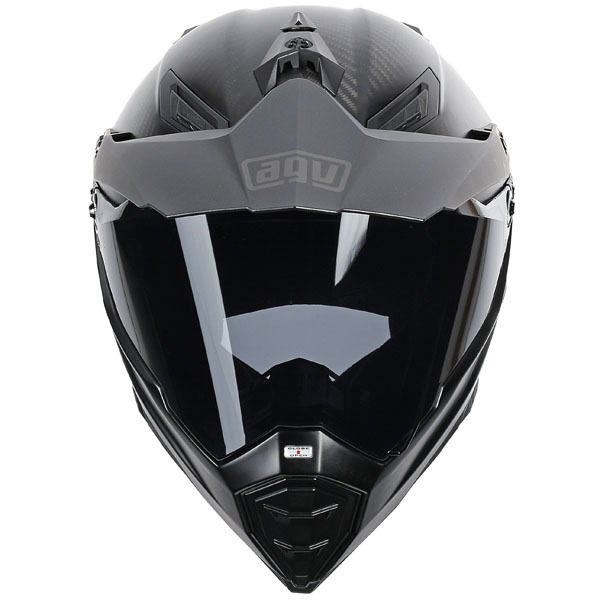 Does the AGV Ax8 have a sun visor ? The AX-8 does not have an internal sun visor. The version without the peak is the AX8 Naked, which is still available. The peak screws can be inserted when the peak is removed to cover the holes. Does this helmet ship with a dark visor or a clear visor or both? 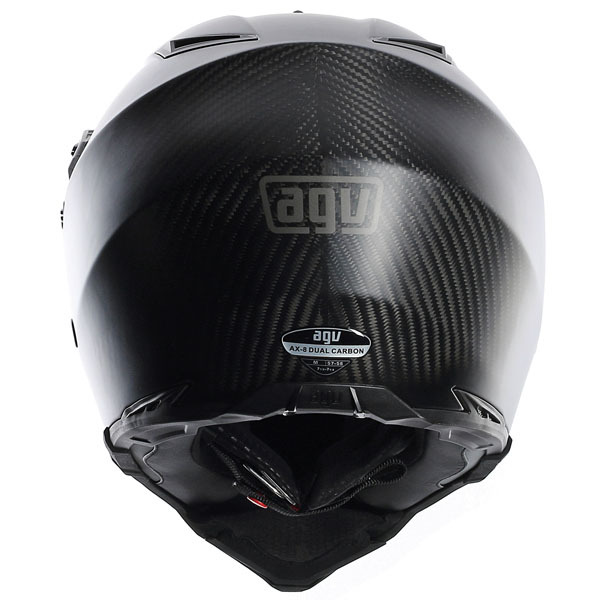 The AGV AX8 Dual Evo is supplied with a clear visor as standard. Dark visors are available separately to order through the website. 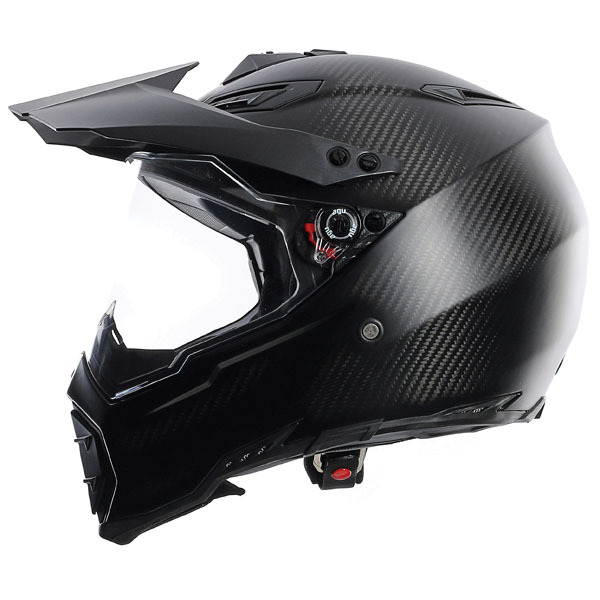 Hi, can you please let me know the weight of the Carbon Fibre Helmet? 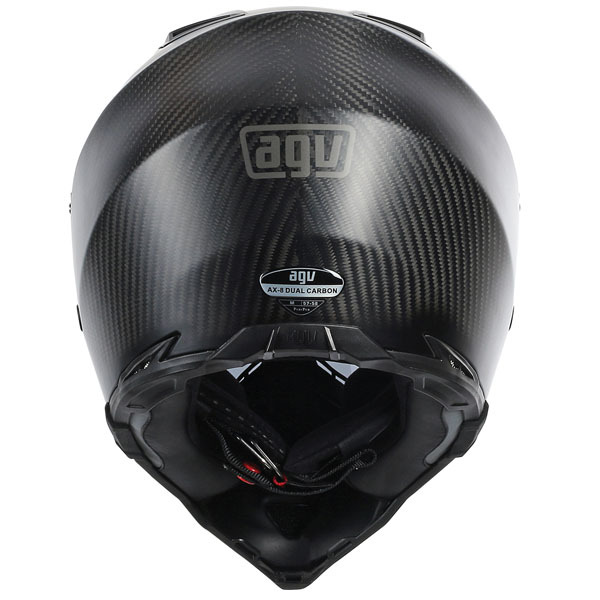 According to agv,the medium AX8 Dual Evo Carbon weighs 1160g +/-50g.